Steve Smith had asked for forgiveness in a tearful press conference. Steve Smith’s tearful press conference on arriving in Australia gave him sympathies from many of his fellow cricketers. 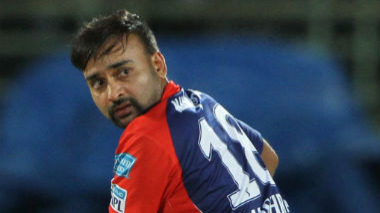 The disgraced former Australia captain was banned for a year by Cricket Australia and also lost his IPL contract. However the British media has shown no such concern for Smith and declared him a crybaby after his press conference moved lot of people and earned him forgiveness from many quarters. Daily Mail’s front page read “Captain Cry Baby”, "Broken" said the Daily Express. The Daily Star went on to say: "Bawl-tampering: crying shame of Aussie cheats" while "Tears, lies & goodbyes" was The Independent's simple and safe take. Smith however received support from many of his detractors like Kevin Pietersen and Michael Vaughan. Smith will have to serve 100 hours of community service and will have to wait for at least two years from now to be eligible for Australian captaincy again. During the press conference, a teary-eyed Smith said: "To all of my teammates, to fans of cricket all over the world and to all Australians who are disappointed and angry. I'm sorry. I take full responsibility...there was a failure of leadership, of my leadership. I'll do everything I can to make up for my mistake and the damage it's caused." 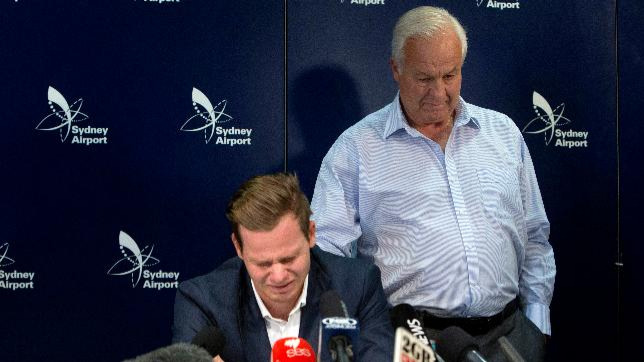 Steve Smith was accompanied by his father Peter during the entire duration of press conference.